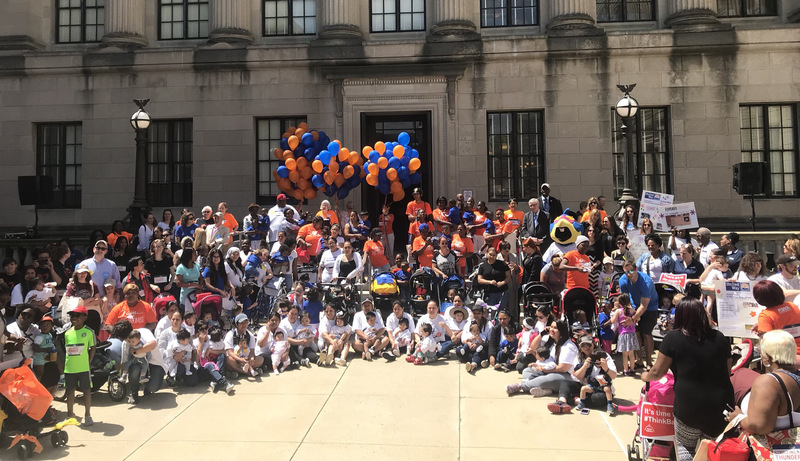 Nearly 150 babies in strollers flexed their political muscles with their parents during the Strolling Thunder New Jersey demonstration held at the Trenton Statehouse on Monday, May 21. The goal of the rally was to remind lawmakers to remember families at budget time. “We need more affordable child care and a more generous paid family leave law that would double time off from six weeks to 12 weeks after a child is born or adopted,” stated Cecilia Zalkind, President/CEO Advocates for Children of New Jersey (ACNJ), which sponsored the event. New Jersey is home to more than 300,000 children under age 3, with 66 percent living in families where both parents work. Young children develop best when they spend enough time with their parents to build strong bonds, but in 2016, fewer than half the babies with working parents received family leave benefits.